Oh Joy, It’s Beginning to Look a Lot Like Christmas!! The sentiment is the only stamped image on this card. All the other elements were cropped out with the Seasonal Layers Thinlits Dies. 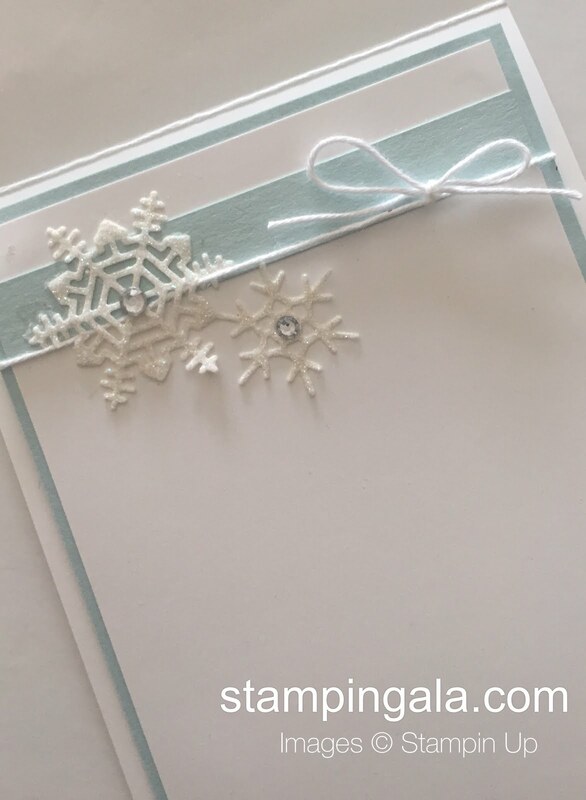 First I embossed the Whisper White card stock with Winter Wonder Embossing Folder and added Dazzling Diamonds to the snowflake. I cropped out all three snowflakes using the Seasonal Layers Thinlits Dies. 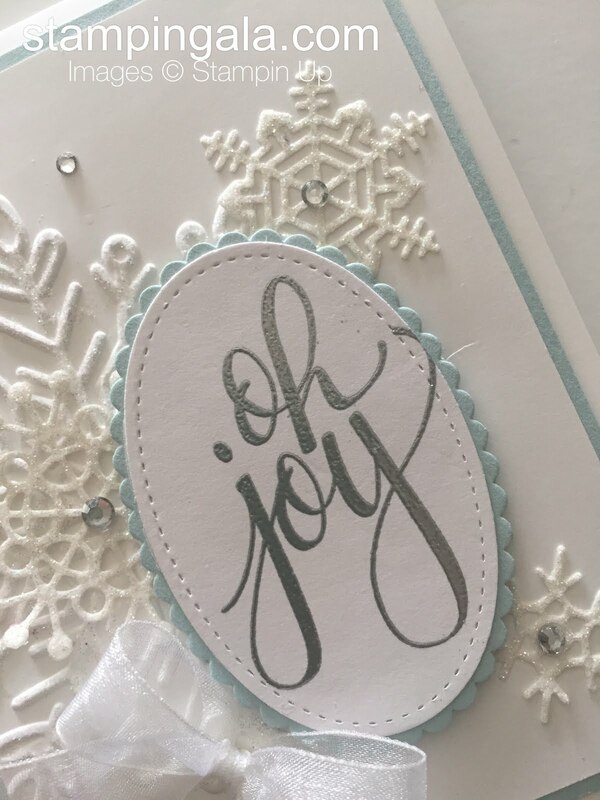 I heat embossed the sentiment with Silver Embossing Powder and cropped it out with the Stitched Framelits Dies. 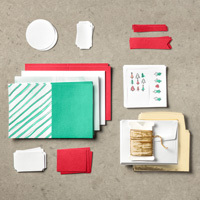 Of course, a card is not finished until the inside is done. 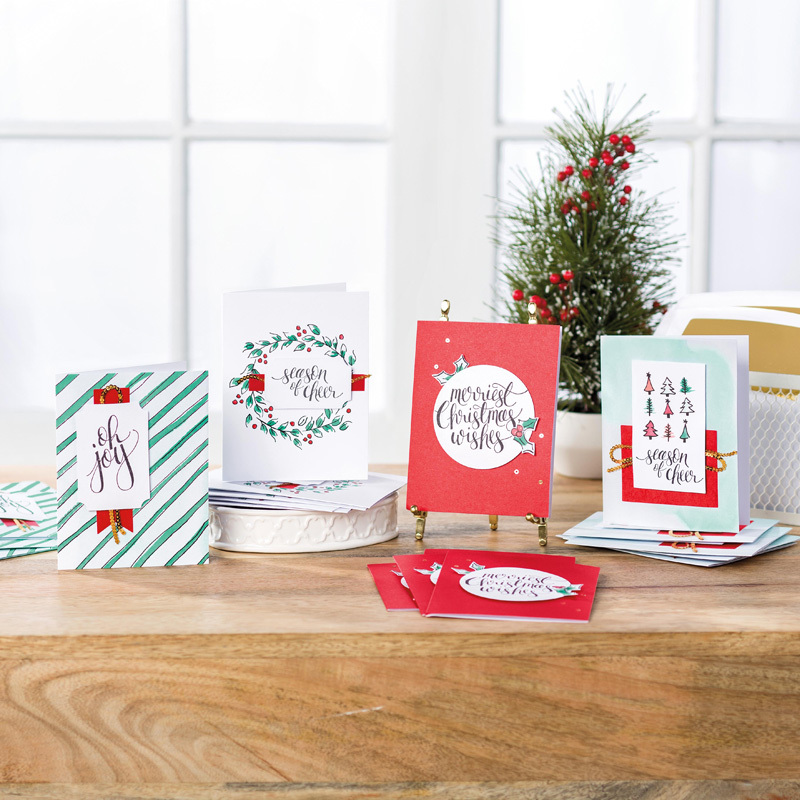 The Watercolor Christmas Project Kit includes all the supplies to make 20 beautiful cards. 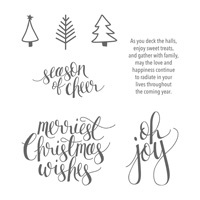 Below are the products I used to create today’s card. Click on the products to order anytime! !